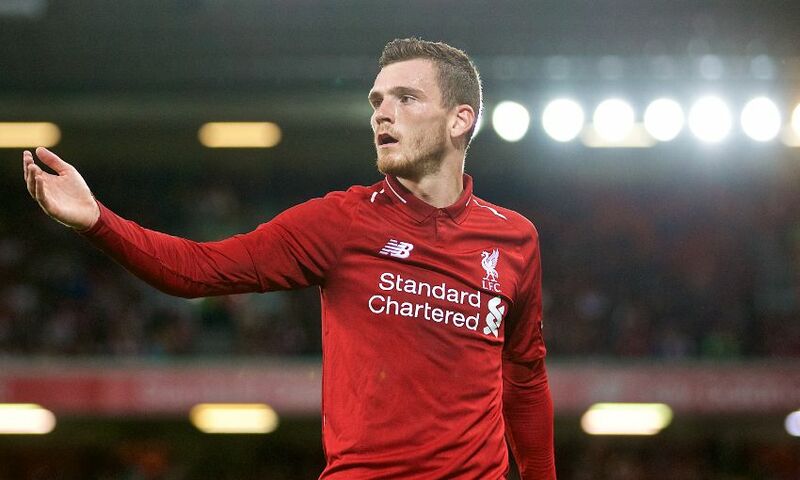 Andy Robertson insists Liverpool's three successive victories over Manchester City earlier this year will have no bearing on their next meeting this Sunday. Jürgen Klopp’s Reds were the first team to beat Pep Guardiola’s runaway Premier League champions last term in an incredible 4-3 classic at Anfield in January. The sides were then paired together in the Champions League quarter-finals and again Liverpool were victorious, winning both legs for a 5-1 aggregate triumph. They are neck and neck so far in the current campaign having each taken 19 points from their opening seven league fixtures – and Robertson feels there will be a clean slate at Anfield this weekend. “It’s a new season,” said the Scot. “I’m sure Guardiola will be looking at the three games where we managed to get one over on them and seeing what he can change. We have to be prepared for that. “Last season we did very well against them. The two quarter-finals were very good, especially at home when we went 3-0 up. Everyone expected it to be a tight game. In the second half we showed a side we hadn’t really shown before, we sat a bit deeper and limited them to very few chances. That’s what got us through in the end. Neither Liverpool nor City yielded in their attacking philosophy across the four clashes between the clubs in the Premier League and Champions League last season. And the Reds will not alter the way they set about overpowering Guardiola’s men in each of the past three meetings, according to Robertson. “We approach it like every game. The gaffer always says no game is the same, there are always slight differences,” added the No.26. “But the way we play is always the same, with a few tweaks for the team we’re playing against. Man City is no different to that. Of course, we’re playing against the champions and we need to be aware of that but it’s no different to any other game.